How Many Carbs to Take on Keto? - Vaxxen Labs, Inc.
Home / Nutrition / How Many Carbs to Take on Keto? How Many Carbs to Take on Keto? A ketogenic diet, or keto diet, is a diet plan that incorporates the practice of limiting carbohydrates in your diet, replacing the glucose with ketones. Ketones are just as friendly to our brains and digestive system as carbohydrates are and, in reality, provide better fuel and energy to our body than any amount of carbohydrates or glucose. An effective keto diet results in a healthy bit of weight loss because of the lack of carbohydrates in your system. To be clear, your body DOES need some level of glucose to be healthy. Thankfully, we’re able to naturally produce some of the glucose we need, which isn’t that much, through a process called gluconeogenesis. To supplement this process, we will consume just a small bit of carbs… let’s take a look at just how much we need and how often we should be consuming carbohydrates while on a Keto diet . When you’ve reached ketosis levels, your body is effectively burning your stored fat reserves for fuel. 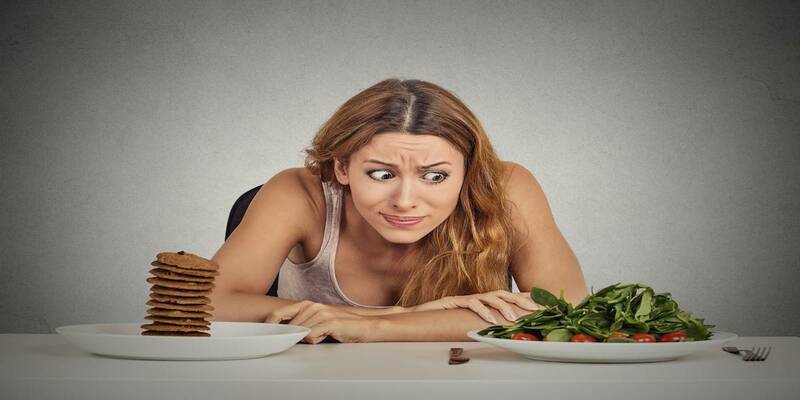 In almost all scenarios for people of all ages, races, genders, and weight, keto dieting will be most effective if you keep your carb intake below a whopping 100 grams per day. Trying to keep your intake down near the 20-30g per day region will allow you to experience ketosis, losing weight without actually doing anything different aside from changing the items you’re consuming on a daily basis . There are two methods to optimize the speed in which you’ll hit the points of ketosis that we’re trying to achieve. Low to high. Cut almost all the carbs out of your diet completely. Drop down below 20 grams per day if you can. After just a few days, your body will enter a state of ketosis. You’ll feel it, we promise. After 3 to 5 days of ketosis, add about 5 grams of carbohydrates to your diet each week. Get yourself a blood ketone meter and monitor the ketone levels in your body. Once you detect a super low level of ketones, stop. This is how you detect your net carbs limit, allowing you to understand just how many carbs you can eat daily . 2. High to low. If the low to high method is too difficult for you, try this alternative method. Consume a high level of carbohydrates daily. Reduce it by 5 grams each week and eventually, you’ll hit ketosis. This method takes way more time but is considered far simpler for most people. Continue to measure your blood for ketones until you final hit ketosis. Make a note of how many carbohydrates you’re consuming and that’s going to be your limit from now on. Keto diets are not for everybody. If you really enjoy your carbohydrates, you’re going to have a lot of trouble sticking with the diet. Like with all weight-loss solutions, it’s a matter of dedication and focus. You can use some supplements that are specifically designed to make your keto diet easier. Vaxxen has a product called Keto1 to help you along the path of ketosis! You can enter ketosis without cutting out all carbs from your diet when you use Keto1. Front Psychol. 2015; 6: 27.